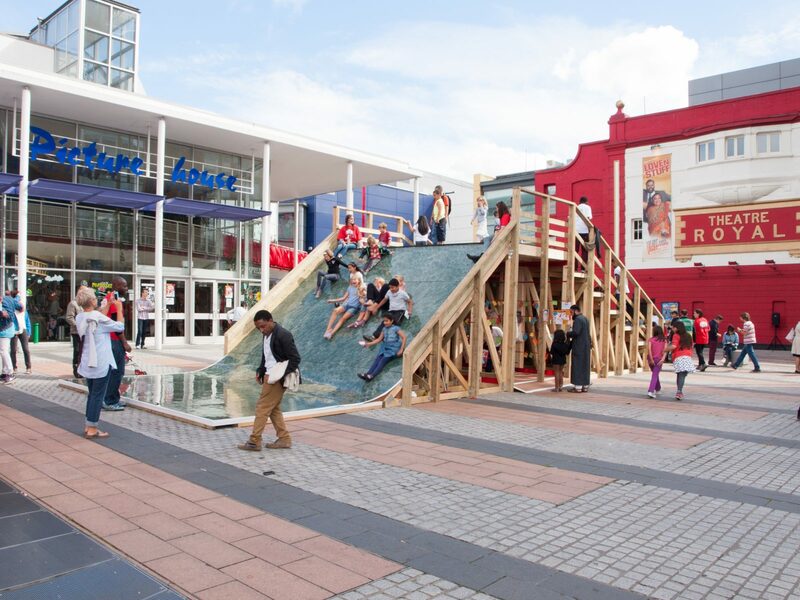 The Big Slide was a temporary structure built as the centrepiece for the Stratford Rising Festival in 2013. 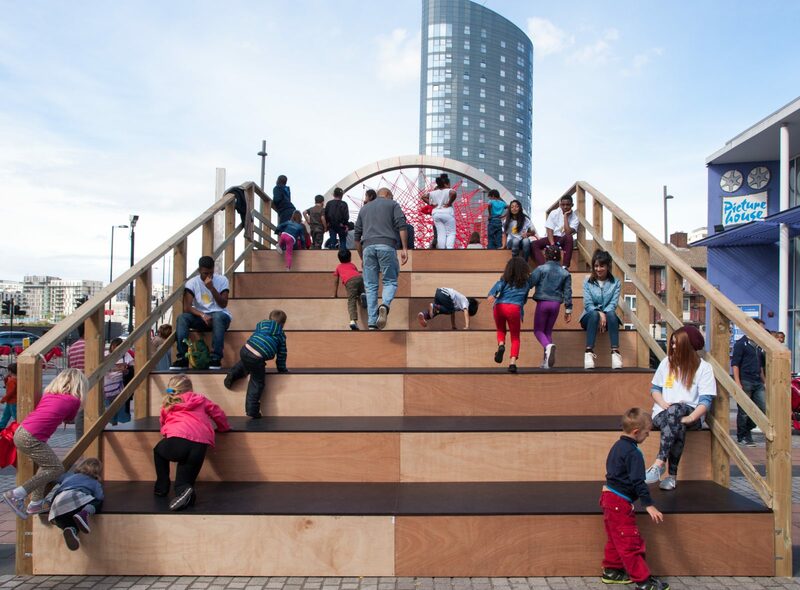 In response to the festival’s theme of ‘Play’, Assemble designed and built a giant slide wide enough for lots of people to slide down simultaneously and a set of steps that doubled as seating for performances. The construction employed a pragmatic and economic combination of studding timber, roof trusses, plywood and angle brackets, but with the slide surface itself made from a playful marble-effect laminate. The Big Slide facilitated an extraordinary 15,000 slides during the three-day long festival.